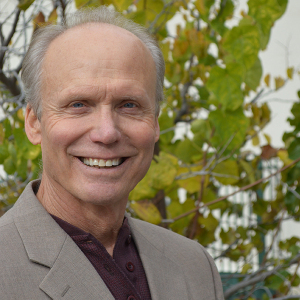 Pastor Bob Johnson grew up in the San Fernando Valley and graduated from the Valley State College (California State Northridge) where he and his baseball team were NCAA college division champions in 1970. Sports and school were the passion and motivation of his life and he was drafted by the California Angels in 1971. In March of 1971 Bob went to see an Athletes In Action game (Campus Crusade for Christ) and that night, after listening to the AIA basketball players share their testimonies, Bob was born into the kingdom of God! The Lord Jesus then became the passion of his life and he entered the Master of Divinity program at Talbot Theological Seminary and was graduated in 1976. Bob pastored at two other churches before coming to the Oakhurst Evangelical Free Church where he has ministered for over 20 years. During that time the congregation has grown from 50 to nearly 200-300 people, moved from rented quarters to a 26,000 square foot facility, and expanded from a staff of one to a staff of six with dynamic Elder, Deacon, and Deaconess Boards. Pastor Bob enjoys life with Sandy, his wife of over 40 years. Their two daughters, and son-in-laws have blessed them with five grandchildren. He also loves the outdoors and sports. He lifts weights several times a week, has surfed for the last 50 years, still goes on weeklong surf safaris, and likes to ride his Grizzly quad. Life is full and eternal for this man who loves and serves Jesus! Doheny Beach, San Clemente, Ca. What is your favorite book (other than the Bible)? Francis Schaeffer books, C.S. Lewis books, Lord of the Rings Trilogy by Tolkien, Dr. John MacArthur Commentaries and books.